If you are wanting to take your health to the next level, then this series is not to be missed. “To eat is human, to digest is divine.” When those profound words were first spoken thousands of years ago, never could these wise seers have anticipated just how much this simple knowledge would be needed. In this second Ayurveda Series we are going to dive into the world of digestive fire, also known as Agni. We are also going to take a look at what happens to our bodies when our Agni is balanced (Ojas) and the damage that impaired Agni can cause (Ama). “To eat is human, to digest is divine.” When those profound words were first spoken thousands of years ago, never could these wise seers have anticipated just how much this simple knowledge would be needed. In this first episode of the Ayurveda Series 2, we are going to dive into the world of digestive fire, also known as Agni. Before you start with Ayurveda Series 2, please hit pause, and go back and listen to Ayurveda Series 1, which starts at episode 21 through to 24. 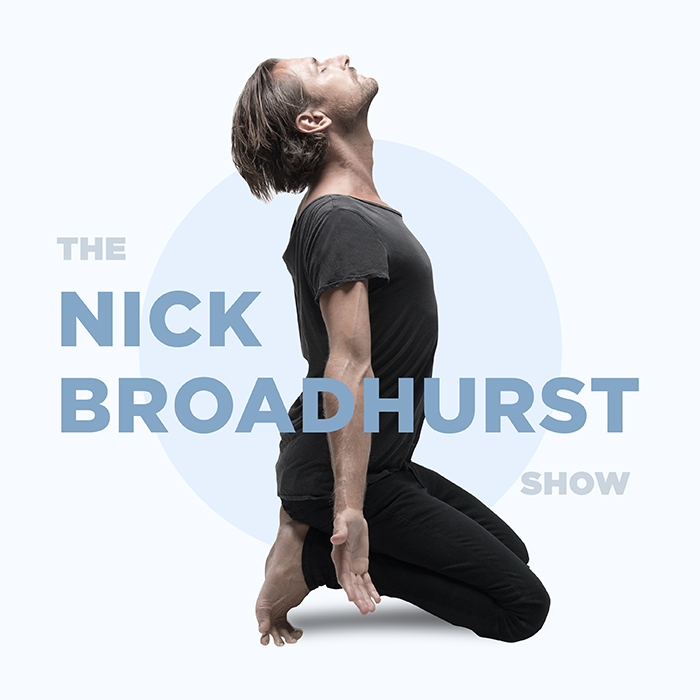 I will link to these episodes in today’s show notes at iamnickbroadhurst.com/77. I spoke in my last episode number 76, Just Gimme The Goddamn Hamburger!… about how food really has been somewhat of a spiritual assignment for me. Each of us have our own unique relationship with food, but we all have one thing in common…. Health, is a byproduct of our spiritual practice. You could even go so far as saying that Health is a byproduct of enlightenment. In Ayurveda, the ancient vedic system of medicine and science of life, Agni, not only represents your ability to digest food, your digestive fire, but also your ability to digest thoughts and emotions. I am soooo excited to be talking to you about this today! Agni is one of the most important things you will ever understand. When you really get it, you can start to see how everything is tied together. It is the gatekeeper of good health. That’s are just a few signs of having impaired Agni. Now, one amazing thing we can all come to understand more, is where do we sit amongst all this? How is our digestion, our Agni? To navigate this, we need to first understand the four types of Agni. And, I do want to add, that this is an overview, and you may recognise some traits straight away and be able to implement some simple strategies to start rebalancing your Agni, but if you can, find an Ayurvedic practitioner in your local area, or work with someone over Skype like Laura Plumb, Dr Stephen Cabral, or Dr Suhas Kshirsagar. I will link to all of these in the show notes at iamnickbroadhurst.com/77. So the first type of Agni is called Sama Agni, which is essentially where we all want to be. This is when our Agni is balanced. All those benefits I mentioned before such as strong immunity, glowing skin, boundless energy, clear eyes, contentment, satisfaction and even bliss… comes from Sama Agni. Sama Agni is an ideal, and in this world it’s not all that easy to reach and maintain. But it certainly is where we want to aim for. Next we have Vishama Agni, which manifests as irregular metabolism. Picture this as erratic Agni which comes from excess Vata. Vata has the qualities of light, dry, subtle and clear. These are qualities that can actually be supportive of Agni, but Vata is also cold which can disrupt healthy agni by dampening it’s heat. The wind can also either gently stoke and intensify the fire, or it can slow it down briefly if there is a sudden breeze, or if it blows too strong for too long it can blow it out completely. This has been my lesson over the years as a Vata Pitta, to maintain my agni. Too often my Vata can become imbalanced by my Pitta drive and fire, and out goes my digestive fire. Symptoms of Vishama agni are things like gas, constipation, irregular appetite, heaviness after eating, cravings for hot and spicy foods, receding gums, dry skin, joints that crack a lot (this is a clear sign for me each morning when I am out of balance), insomnia and feelings of fear or anxiety. You can also see it on the back of your tongue as a brownish or black coating. To balance Vishama agni you will want to follow a Vata pacifying diet and lifestyle which I will cover in episode 81. Now onto Tikshna Agni which can also be seen as hypermetabolism. You can picture this as being too hot and sharp. Tikshna Agni comes about from excess Pitta. Now Pitta has qualities such as being hot, sharp, light and spreading, but when Pitta is in excess it can cause the digestive fire to burn too hot and too fast. Your food can pass through too quickly, and I guess you could picture it as being thrown into a volcano… it gets totally burned up and leaves no nourishment for your tissues. If you have more of a Tikshna agni, you will most likely have an insatiable appetite, you can get angry or irritated if you don’t eat on time, you may get acid reflux, heartburn, hot flashes. The tongue can appear yellow or green in the middle region of your tongue, and your skin may show signs of angry redness in the form of hives, rashes and acne. You may have guessed by now that to balance Tikshna agni you need to follow a Pitta pacifying diet and lifestyle which I will cover in the upcoming episode number 82. And last, you probably also guessed it, is the type of Agni imbalance that is caused by an excess of Kapha. This is called Manda Agni, which is characterized by hypometabolism, which you can picture as slow and dull. Kapha which is made up of the water and earth elements is heavy, dense, soft, smooth, cool, oily and slow. All qualities that don’t go so well with having a healthy digestive fire wen in excess. It’s important that I point out something here… all of the qualities of Vata, Pitta and Kapha contribute to a healthy digestive fore, it’s when they are in excess that the flame either gets too strong or too weak. And with Manda agni, in excess it creates a slow and sluggish digestive system. If you ever feel lethargic, unmotivated to exercise, congested, get frequent colds, cold clammy skin, water retention and allergies, these can be signs of Manda agni. Your tongue can appear to have a white coating on the entire tongue. Conditions such as diabetes, obesity and hypothyroidism can be signs of Manda agni. And, as you will now know, Manda agni can be rebalanced by following a Kapha pacifying diet and lifestyle which I will cover in episode 83. Ok, so now hopefully you are convinced that Agni is important! I am really excited about what I am going to be sharing with you in this Ayurveda Series 2. Coming up next we will take a look at how to rekindle your digestive fire, the root of all disease which is called Ama, the antidote to ageing which is called Ojas and then we will dive into each of the diets to pacify the three doshas or body types known as Vata, Pitta and Kapha. While your blog on digestive fire is blemishless, I think you can add a couple of important aspects to this topic. One spoon of grated ginger with a few drops of lemon juice and a dash of honey taken half an hour before a meal will significantly pep up the digestive system. The next is about the posture while eating. Before the advent of dining tables, millions of people used to squat while eating. That is the right posture to follow and alas! we have nearly forgotten the art of squatting because we can only jump from one form of seat to the other. I am a professional writer with extensive experience and if you in love with Ayurveda, I can share many things, as a writer, as someone born in the land of Ayurveda – Kerala, India. Before signing off, nativity cannot guarantee professional use of any language. Writing is an art that needs focused learning to put thoughts to pen cohesively. Thank you for your thoughts on this :) I agree with the ginger, lemon and honey, however, honey can feed candida for anyone with gut dysbiosis, lemon can imbalance pitta, and ginger can also imbalance pitta plus cause issues with candida. This is why it is so hard to make specific recommendations, so I keep everything tri-doshic and safe for all to implement.